Sarah Pasch. Photo by Linsday Thomas. Sarah Pasch is from Dublin, California. She studied at San Ramon Valley Dance Academy, Houston Ballet’s Ben Stevenson Academy, and on scholarship at Pacific Northwest Ballet School. She attended summer courses at Houston Ballet’s Ben Stevenson Academy, Lines Ballet, the Kirov Academy, and Pacific Northwest Ballet School. 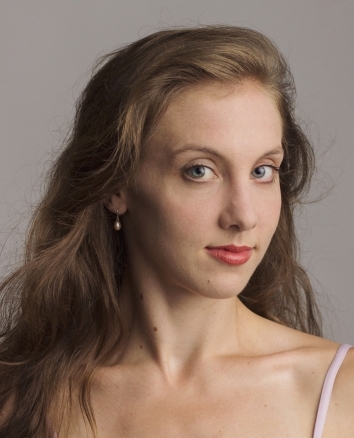 Ms. Pasch joined Pacific Northwest Ballet as an apprentice in 2011 and was promoted to corps de ballet in 2012. Sarah is creating her first work for PNB’s NEXT STEP, a one-night-only performance for PNBS Professional Division students in an all-premiere line up created by PNB Company members. One of the most fun performances all season long, NEXT STEP is your chance to cheer the next generation of dancers and dance-makers. I have never tried choreographing before. I really haven’t ever been interested. This year, I decided I needed to push myself more artistically and needed to explore more. I wanted to take advantage of this great opportunity – Next Step. What idea inspired your piece for Next Step? I suddenly became very inspired one night when I was watching the final episode of the TV show MASH. An internal story in the episode flooded my mind with visions of movement. This had never happened to me before and I felt I should act on it. What is it like working with Professional Division students? I picked my dancers for specific reasons. I enjoy working with students because they are so eager. But, often with students, you find a lack in true personal artistry. They are so uniform and technical. I picked my dancers because I saw their souls when I watched them in class. That is something so important and also something you can’t teach. What type of movement are you exploring? I am not sure about what my style is called. I knew I didn’t want my dancers on pointe. My movement just seems to be turning out like me. It is simple, comical and relaxed. It is all movement that makes me feel good. So I guess I’m working on a movement quality that reflects me. Why is there a need for new work in dance? New works are so important in the arts. It’s what keeps the ball rolling. No matter what we are creating, we always have to be creating. I learned that from Twyla Tharp. Creating new is what keeps us inspired and keeps us learning. No matter what is being created it is always important. Sarah Pasch in Twyla Tharp’s Waiting at the Station. Photo by Angela Sterling.